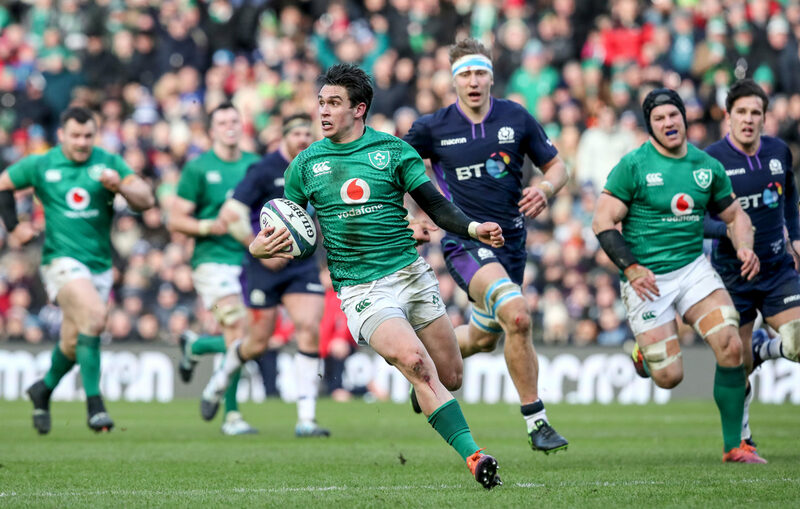 Ireland secured their first win of the 2019 Six Nations with a 22-13 defeat of Scotland at Murrayfield this afternoon. Not a perfect performance, perhaps, Joe Schmidt will nevertheless be pleased that his side have picked themselves up after last weekend's disappointing defeat to England in Dublin. With a look across the team's performance this afternoon, here are the Irish player ratings from today's important win. Solid performance from the veteran whose experience in the 15 shirt was a welcome sight after last week’s troubles. Uncharacteristically good in attack too. Good chase and tackle on Finn Russell and was unfortunate not to prevent Scotland’s try. Took his try well after Carbery’s break. Strong carries and made a number of good defensive contributions. Only has a handful of caps but always impresses in the green shirt. Solid carrying from the Connacht man but needs to learn pass the ball more. Did well enough with Farrell in the centres in defence. His kick created the first try before a scoring one of his own through a great line and impressive pace. Good tackle on Seymour to stop a certain try. Was playing well but consistent late hits from the Scots forced him off early. Missed an easy conversion but played a crucial role in Stockdale’s try. Big improvement after his rusty performance in the opening round. Was gifted an early try after a poor pass from Tommy Seymour. Busy afternoon for the Leinster prop. Made plenty of ground through good footwork and made plenty of tackles. Very accurate in his lineout throws and led from the front. Might not be as explosive as Sean Cronin but still putting in good shifts. Business as usual for the Wexford man. Plenty of carries and tackles and a fine performance in the scrum. Quiet enough afternoon for the South African-born lock but his prowess during scrum time was surely a boost to the pack. Made up for Devin Toner’s absence with a number of great contributions in the lineout. Carried and tackled well as always. Busy day in the loose for the official man of the match. Made a number of crucial plays in defence. Nice grubber kick in the first half. 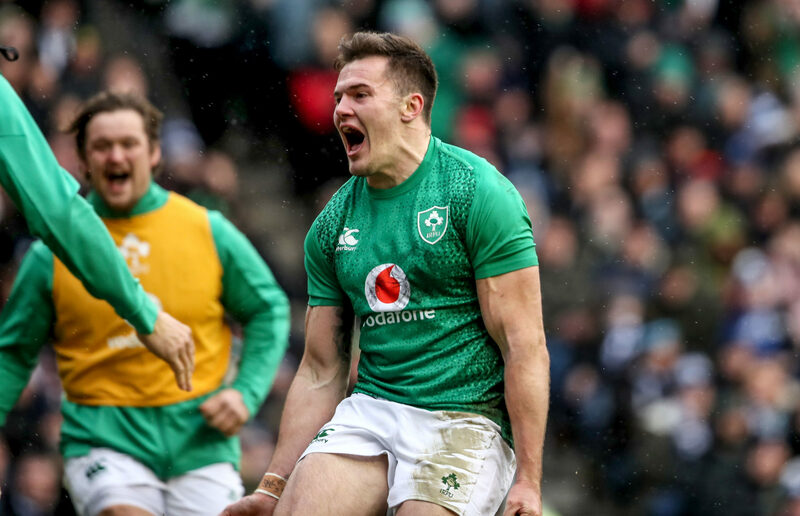 Didn’t set the world alight but a good performance from the Tullow Tank in his first Six Nations start since 2017. Strong carries and plenty of contributions at ruck time. Quiet enough performance from Leinster’s first-choice number 8. Unfortunately tends to go missing in the bigger matches. Carbery had a tough time when first coming on but played much better in the second half after putting Earls in for Ireland’s third try. Kilcoyne and Van der Flier carried well while Cronin and Porter picked up where Best and Furlong had left off. Should be fairly happy with that performance after last week’s horror show. Not perfect but Ireland did well to deal with a number of injuries which resulted in a few new combinations in the team.